Formwork Services & Supply LP leased 217,800 SF of industrial space on five acres at 2200 Lauder Road in Houston. The tenant was represented by Glynn Mireles with CBRE Houston. The landlord: Allied Stone, Inc., was represented by Carlton Anderson with CBRE Houston. Harvest Market will open its fourth Houston area store in Woodforest, a 3,000-acre master-planned community surrounding Woodforest Golf Clubin South Montgomery County. With 40,000 SF of grocery items and restaurants offering different cuisines, the store will open late this year. To be located in Woodforest’s Pine Market retail center, the store will be the largest Harvest Market yet. 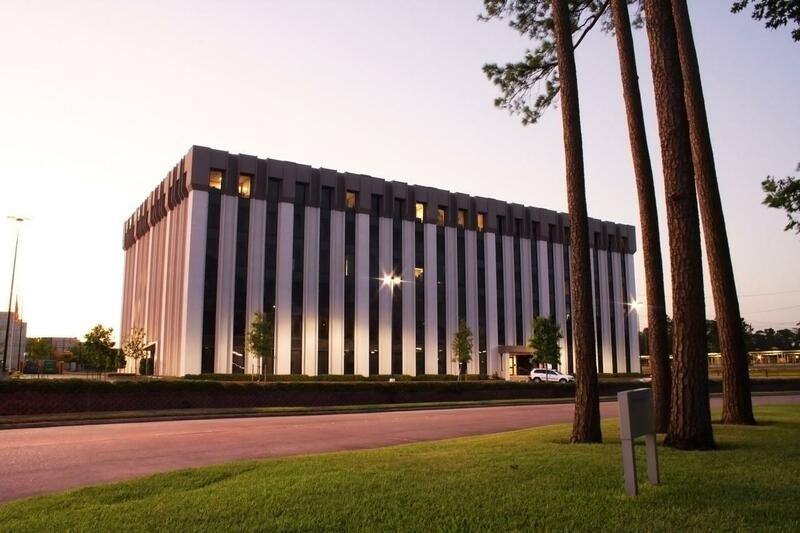 NAI Partners recently arranged a 2,906 SF office lease for BGN at 2 Houston Center. Griff Bandy of NAI Partners represented the tenant in the transaction. BGN International’s operations include trading, storage and transportation of petroleum, petrochemical products and commodities to customers around the world. The Houston Trust Companyis relocating its headquarters to 3737 Buffalo Speedway where the firm has leased 13,371 SF. CBRE’s Weldon Martin represented The Houston Trust Company and Madison Marquette represented the landlord, Houston 3737 Buffalo, LP. A Texas-based, all-cash buyer outbid all national offers to purchase Christian Brothers Automotiveat 9245 S. Sam Houston Parkway. The 5,000-plus SF location was recently built and has more than 11 years remaining on the lease. Jared Aubrey, senior vice president, and Michael Austry, vice president, both with CBRE, represented the seller. Chris Adams of the Stan Johnson Co. represented the buyer. NAI Partnersrecently arranged a 3,817 SF office sublease for Auterra Resources at 1 Riverway. NAI Partners’ Griff Bandy represented the tenant in the transaction. Auterra Resources’ strategy is to maximize the value of the 40,000-acre Eagleville Field in Gonzales County, which creates products from the Eagle Ford Shale and Austin Chalk formations. HomeGoods Inc.recently leased a 20,000 SF space in the Weslayan Plaza Shopping Center at Weslayan and Bissonnet streets. Culver Stedman of EDGE Realty Partners represented the tenant and Regency Centers represented the landlord. NAI Partners recently arranged a 12,084 SF office lease for Ham, Langston & Brezina, LLP, at 11550 Fuqua Street. Griff Bandy of NAI Partners represented the tenant in the transaction. Ham, Langston & Brezina offers a range of business solutions designed to help financial institutions minimize tax obligations, maximize profitability and increase strategic effectiveness and expand operational capabilities. Energy Recovery, Inc., which provides pressure energy technology for industrial fluid flows, has executed a lease for its new commercial development center at Energy Park West Business Park in Katy. The four-acre site will serve as the central office for Energy Recovery’s oil and gas segment. The site will include a 25,000 SF facility to house advanced equipment in addition to a two-acre yard for field testing and product development. The tenant was represented by Bob Berry and Jacob Bravo of Avison Young-Texas, LLC. The landlord, FS Clay LLC, was represented by Mark Kidd Sr. and Mark Kidd Jr. of M Kidd Properties, Inc.
Berkadia has arranged joint venture equity for a 129,250 SF medical office building in Houston’s Heights neighborhood, at 1919 N. Loop W. The property was purchased by an affiliate of Simpkins Group Inc., a commercial real estate development and investment firm. Houston-based real estate investment firm Weingarten Realty Investors sold the property. Cutt Ableson, Mark Crosswell and Colin Marusak of Berkadia’s Houston office placed the joint venture equity with a Houston-based private equity firm.